The holidays can be so busy that most of us feel like we’re being put through a two-month time crunch. But with all the giving, saving and spending going on, this is also a great time of year to communicate with your children about wise money management. With a big dose of family time coming your way, take advantage of all the teachable moments! If you make a point to get to the heart of money matters this holiday season, you will truly change your family tree. And the best part is, it can be super easy! Kids know what money is from a very young age. They know that they like to have it and that it helps them get stuff they want. There’s no reason they can’t grasp where money comes from: work! The reason you show up for work yourself can be a great conversation starter. If you work, you get paid. If you don’t work, you don’t get paid. It’s where your ability to buy a Thanksgiving turkey comes from. Unfortunately, not all adults understand that, but you can teach your kids that whining does not end in money. That’s how the real world works, and it’s a good lesson for any child to learn. You can teach your kids a work ethic early on. Parents don’t need to be slave drivers, but everyone from toddlers to teens should have age-appropriate responsibilities around the house and yard. Got a middle schooler who loves helping with the Thanksgiving cooking? That’s a great time to share the basics of how you budgeted for the turkey day groceries. And teens will want money over the holidays for fun or shopping. Don’t just give them an allowance. Teach them how to earn a commission by rewarding them for things done above and beyond their basic chores. If you work, you get paid. If you don’t work, you don’t get paid. The holidays will be full of shopping, budgeting and presents. If you teach your kids a healthy perspective on the three main things you can do with money, they will be well ahead of the game. Having Give, Save and Spend envelopes is a simple but incredibly effective way to illustrate the point, for a toddler or a teen. First, saving is an important skill to learn, and your own savings goals are a helpful way of opening up about your own finances. 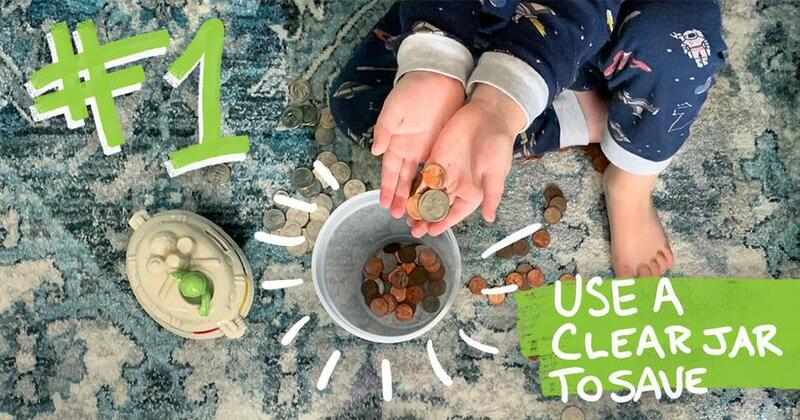 If you have any big-ticket gifts you’ve been planning to surprise someone with this Christmas, help kids to see that that big-ticket item required you to follow a savings plan. Next, remind kids that spending is good when you do it responsibly. You can show positive examples of responsible spending by talking through money issues they’re likely to encounter in real life. And it works at any age! Opportunity cost is a great example. You just need to put the concept in terms they’ll grasp: “Okay, Tamara, if you buy six packs of bubble gum right now, it will take you longer to save for the new Shopkins you wanted earlier today.” She’ll see how spending connects with saving. Most importantly, when kids learn to save money they also need to see and learn the joy of giving from a young age. When a teen takes all of the money they were saving for a new video game and then decides to spend it on buying food for a family in need on Thanksgiving or a gift for a friend, it really warms your heart—and it will have an effect on them too! How cool would it be as a parent to see your kids becoming more generous with their money at every age? One of the biggest financial lessons you can share with your children this holiday season is the need to avoid debt. Although many people rack up piles of debt charging Christmas gifts to credit card accounts, the payments and consequences of those choices can last for years. If you’ve ever had any debt of your own, speak honestly about the difficulties it brought into your life and encourage your children to see the advantages that come from a debt-free lifestyle. What you do with your money makes a much bigger impact on your children than what you say about money. When you say ‘no’ to something you want because you can’t afford it, you’re teaching them how to delay pleasure. They’ll see first-hand that if you don’t have the money, you can’t buy it. When you live the debt-free lifestyle yourself, it will inspire your kids to follow in your footsteps! As you’re putting these principles into action, have fun with it! Tailor your teaching to your kids’ ages and interests. Do you have artsy kids? Show them your thrifty side by partnering on some homemade Christmas presents. Does your teen have a long list of friends to get gifts for? Help them set a savings goal and do extra chores to be able to play Santa Claus. One of the most powerful things you can do is create family opportunities to give. Find a charitable cause you believe in and encourage your whole family to contribute some of their own earnings to a family gift this Christmas. It’s especially effective when your kids have the chance to see how their money is helping other people, like taking a family trip to drop off your donation at a church or food pantry or surprising your neighbors with a Thanksgiving dish. Those are the moments that impact children for life! 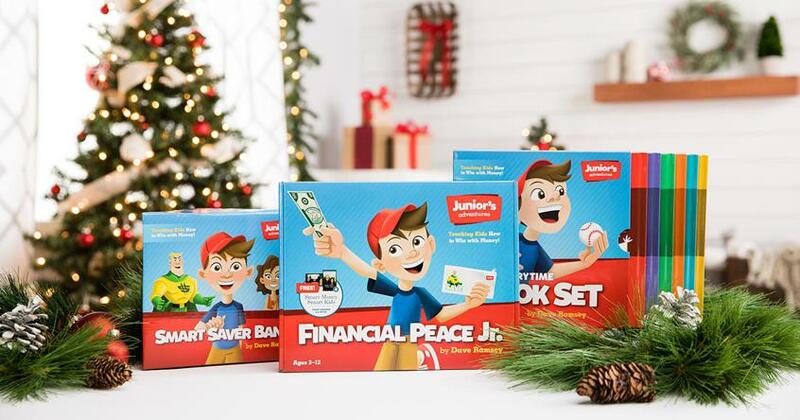 Even in the busyness of the holidays, you can confidently teach your kids and teens solid money principles starting today. It’s easier than you think! And trust us—they will thank you later. 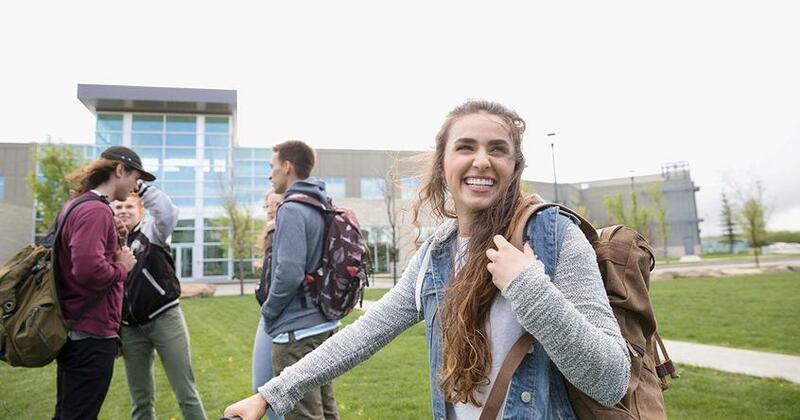 Help your teen dive even deeper into their money knowledge with Dave Ramsey’s industry-leading personal finance curricula, Foundations in Personal Finance. With options for grades 6-8 and 9-12, you’ll find exactly the resources you’re looking for. Start your teen today!